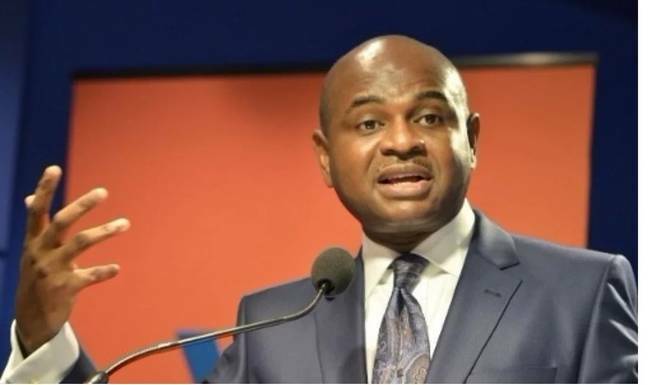 The presidential candidate of the Young Progressives Party (YPP), Prof. Kingsley Moghalu, Thursday, has reacted to report making the rounds that he had entered into an alliance with the presidential candidate of the Peoples Democratic Party (PDP). Moghalu in a statement on Thursday by Spokesman of his campaign council, Jide Akintunde described the report as false, reiterating his plans to defeat major parties on Saturday presidential election. “The attention of the Young Progressives Party campaign council and the party’s presidential candidate, Professor Kingsley Moghalu, has been drawn to a statement being circulated on the social media that Moghalu has teamed up with PDP presidential candidate, Atiku Abubakar. “We would like to state categorically that this information is false. It is fake news, attributed to the CUPP spokesman. This fake news is deliberate disinformation, calculated to mislead and demoralise the millions of Moghalu and YPP supporters across the country. But it is doomed to failure. “We will meet the old brigade of recycled politicians at the polls and we will defeat them with the votes of the people of Nigeria. “Coming on the heels of the fake news narrative that the election is between two parties, Nigerians should disregard the desperation of the political class and vote for YPP as they have resolved to do and send the visionless politicians to permanent retirement on Saturday. The post Nigeria Election 2019: Moghalu Speaks On Stepping Down For Atiku appeared first on Naijaloaded | Nigeria's Most Visited Music & Entertainment Website.